Microsoft and Sony's respective motion-control peripherals, Kinect and Move, were made with casual, social gaming in mind, so it comes as no surprise that the second entry in the Yoostar franchise has been created specifically to take advantage of the technology. 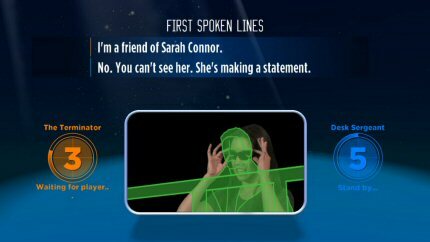 For those unfamiliar with Yoostar, it can be summed up quite simply as an interactive entertainment experience where you replace your face and voice with that of a famous actor in a particular scene from a popular movie. You can then upload and share your creations with other Yoostar fans. The first game was released on PC and Mac only and came bundled with a video camera with stereo microphone and a 6 x 6 foot green screen, but for the Xbox 360 and PS3 versions you won't need anything but the Kinect and Move peripherals. 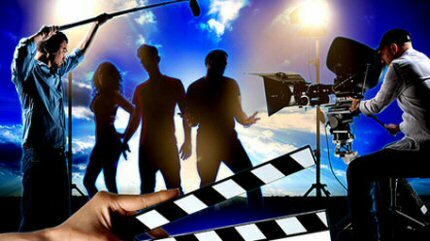 Yoostar2 allows you to perform in hundreds of famous movie scenes, including the likes of Animal House, Terminator, The Matrix, Team America, Godfather, Psycho, Jaws and Beverly Hills Cop. Yoostar has secured world-class movie content from leading motion picture studios, including Paramount, Universal, MGM, Lions Gate, Warner Bros., Sony Pictures, and CBS. There will be 60 movie scenes available on the disc and the option to purchase many more via the Yoostar store. Once a scene is recorded, you can upload your performances to Xbox Live or the PlayStation Network, share the performances on social networks such as Facebook and Yoostar.com and view them on virtually all devices, including Smart Phones, PC’s and Consoles. You can increase status through community participation, such as sharing, rating and commenting on others’ performances. Your performance is scored, allowing you to rise from “struggling actor” to “superstar”, but the game also encourages improvised performances that draw on players’ creativity -- now that could be a lot of fun! 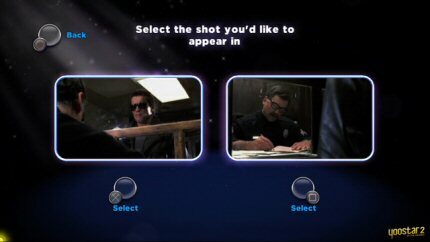 Yoostar2 features multiple gameplay modes, including a “party mode” that allows a group of players to perform in quick succession and a progression mode where players face a series of challenges and unlock new scenes. An official launch date has yet to be announced. "You Dirty Rats!" :)Think they'll be a lot more of this type of stuff now Kinect has arrived.